When a great African king desires a wife, only the most perfect maidens in the land are invited to meet him. 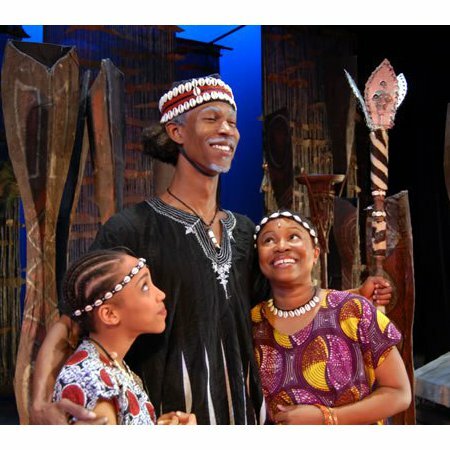 Mufaro’s pride and joy, his two daughters of very different dispositions, travel a half day’s journey through a mystical jungle and across a deep river to be presented to the king. Along the way the two girls encounter a number of mysterious situations that test their courage, kindness and strength of spirit. Combining authentic African drumming, powerful and majestic choreography and thrilling original music, the splendor of Zimbabwe and energy of the African land will burst onto stage in this adaptation of John Steptoe’s Caldecott award-winning Cinderella tale!